Entomofagia (Spanish for entomophagy – the practice of eating insects) is a series of culinary experiments. The first event happened on occasion of at Casa do Vidrio, house of Lina Bo Bardi in Sao Paulo. Fort he occasion a small snack cart featured a Brazilian specialty: giant ants. Visitors were invited to taste fried ants in brown paper cones like peanuts. Entomofagia (Spanish for entomophagy – the practice of eating insects) is a series of culinary experiments. 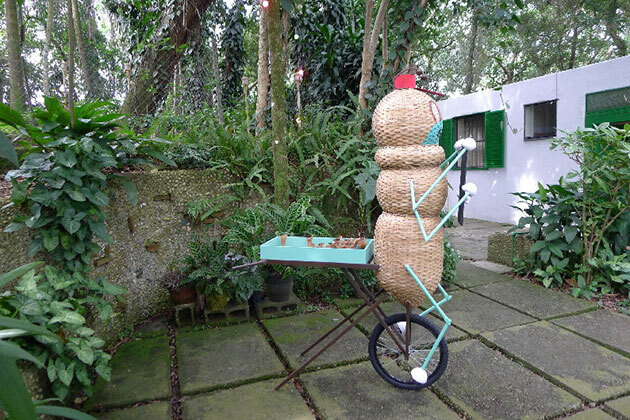 The first event happened on occasion of at Casa do Vidrio, house of Lina Bo Bardi in Sao Paulo. Fort he occasion a small snack cart featured a Brazilian specialty: giant ants. Visitors were invited to taste fried ants in brown paper cones like peanuts. The preparation is simple. Ants are caught on the air with nets and the abdomen is removed. Fried with oil and salt like popcorn they become spheres the size of a peanut. Visitors not only enjoyed these delicacies but were also able to learn about how insects are one of the best sources of our nutritional needs, as well as the immense ecological advantages of finding alternative sources of protein different from the meat. 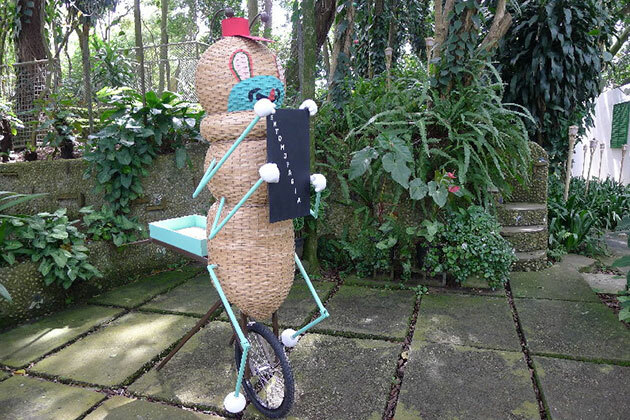 The cart featured an oversize ant, a pop/folk attempt of branding the product. There are more tan 1900 edible insect species in the world including beetles, caterpillars, worms, wasps, ants, grasshoppers, locusts, crickets and more. So there are plenty of recipes to discover. High in protein, fat and mineral contents, the nutritional value of insects does not differ from the nutritional value of other meat sources such as chicken, beef, pork, and fish. They are also versatile, and can be eaten whole or ground into a powder paste, and incorporated into other foods.